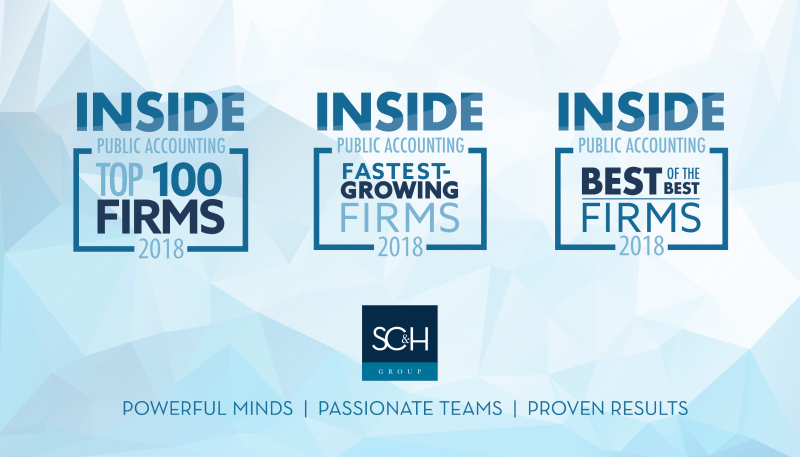 SC&H Group was recently ranked on INSIDE Public Accounting’s (IPA) 2018 list of 100 Fastest-Growing Firms. IPA reported that SC&H Group’s 12.5% organic growth this past year qualified to be listed within the top 10 fastest-growing firms as number eight. This marks the first year in which SC&H has received this recognition. IPA identifies the 10 fastest-growing IPA 100 firms based on reported organic growth in net revenue, without the influence of mergers. While growth with mergers represents the true growth, isolating organic growth provides insight into the strength of the growth engine of the firms. This year’s IPA 100 Fastest-Growing Firms experienced an impressive average organic increase in net revenue of 18.3%. Over the years, IPA has recognized SC&H Group as a “Best of the Best” and “Top 100 Firm” in 2014 and 2015. In addition to IPA, SC&H has recently been awarded “Top 100 Firm” and “Best Accounting Firm to Work for” by Accounting Today. SC&H Group is a nationally recognized management consulting, audit, and tax firm serving clients from rapidly growing private sector businesses to Fortune 500 companies with global brands. 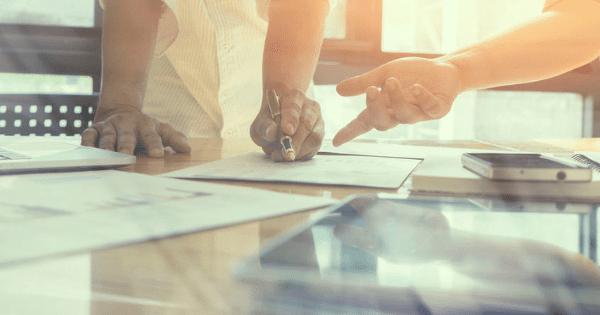 The company has divisions — Audit, Business Performance Management, CFO Advisory, Contract Compliance Audit, Investment Banking & Advisory, Personal Financial Planning, Risk Management, Tax, and Technology Advisory. The firm’s strategic practices provide the leading-edge thinking and advice that transform our clients’ businesses and help them outpace the competition. We embrace the future and help clients prepare, innovate, and evolve their businesses in this complex and highly competitive world. For more than 25 years, SC&H Group has demonstrated its commitment to delivering powerful minds, passionate teams, and proven results on each and every engagement. Learn more at www.schgroup.com. INSIDE Public Accounting is a newsletter dedicated to providing insider information and unique insight by a team with decades of experience working with CPA firms. INSIDE Public Accounting’s Annual Report highlights essential information on firm operations, financial data, and firm management. For more information, visit www.insidepublicaccounting.com.